5 Ways to make Your Hard Disk faster. 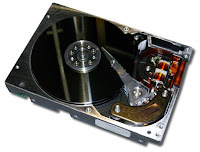 A hard disk is an important part of a personal computer. So, it is very important to take really good care of it. 1: Defragment Your Hard Disk. A hard disk is said to be defragmented when files it contains get split up. Contiguous files are files on your hard drive that are all in one place, and not split up (fragmented). If you defragment your hard disk regularly, at least 2 times a month you might gain considerable performance. The recycle bin contains all the files that you had deleted recently. By default windows reserves 10% of your hard disk to store these files. You can change this to about 5% to gain more space. When you are on the internet your web browser downloads some temporary files in a temporary folder. The same folder also contains setup files of programs you don't need. 2: Delete the unnecessary files . This helps to repair disk Errors. This helps in case of programs that need a lot of virtual memory.